As long as you have some way of lighting the scene and can keep the lights out of view from your GoPro, feel free to light it up. Lighting a scene can be as simple as using a single bulb and reflector or as elaborate as employing a light kit with soft boxes, umbrellas, stands, and booms. Because natural light (the sun) isn’t always around, and artificial light leaves you in a passive role, bring your own light to the scene. The pros have done that since the early days, because using their own lights allows them to actively control light direction, intensity, and color temperature. Now you can do the same. Lighting a scene means using the right materials in the right way. The way you light your scene can help establish what you’re trying to say without the audience’s noticing a thing. Viewers absorb the movie as a whole, with lighting, action, and sound quality working together to sustain their attention. Main light: As the name implies, the main light is the key source of light in a scene. Whether that light is the sun, an outdoor lamp, or your light kit, its main job is to illuminate the subject. If you place the main light at a 45-degree angle from the subject, half of the subject renders in shadow, which can be quite dramatic. Fill light: The fill light illuminates the subject from the side not affected by the main light. Depending on the subject, you can position the fill light at a higher or lower angle than the subject to fill in the shadow areas. The fill light can also be a reflector that redirects illumination from the main light. When you’re shooting outdoors, the fill light may be a large white reflector bouncing sunlight back on the subject. Just make sure that the fill light doesn’t overpower the main light. Back light (or hair light): With the front of the subject adequately covered, you use back light to add depth to the scene and separate the subject from the background. Position this light high and off to the side, at a 45-degree angle from the subject. Tungsten lights are used for professional lighting in the studio and on location. 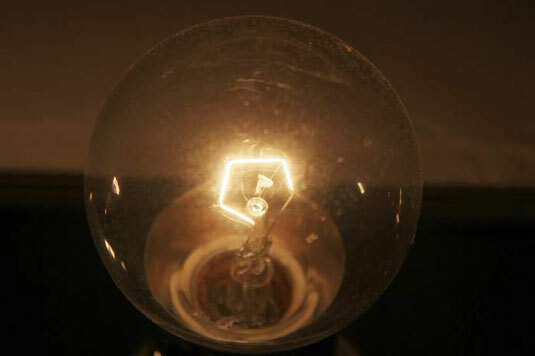 This type of bulb produces light by heating the tungsten filament inside until it glows. Studio tungsten bulbs can go as high as 1,000 watts and generally produce a color temperature of 3200 K.
Tungsten lighting comes in many forms, including the icon giant lights used on movie set. Some tungsten lights use a glass lens called a Fresnel (developed for use in lighthouses) that maximizes the light’s potential. Studio lighting uses a combination of Fresnel lenses and reflectors to concentrate light on the subject. These lights produce a full spectrum of color like the sun and can be moved wherever they’re needed. Move it away from the subject. It’s hard to get more basic than simply moving the light away. Reduce its brightness. If the light has a dimmer, turn it down, or use a lower-wattage lamp. Soften the light. Put the light in a soft box to get close so you can bathe the subject in bright but flattering light. Reflect the light. You can turn the light around and bounce it into a reflective umbrella. If you’re in a jam with the budget or don’t have an umbrella, use a piece of diffusion material over the light source instead. Focus the light. Narrow down how much of the light illuminates the subject. Use a filter. Use a neutral-density gel filter to cut down a couple of stops of light. Work lights: You may have seen work-light kits at home-improvement superstores. The lights use some form of tungsten bulbs; many kits have stands and reflectors. The light is harsh but easy to smooth out by finding a creative way to diffuse it. The kits are cheap — a bonus if you’re on a limited budget. Flashlight or lantern: These light sources aren’t as unbelievable or impractical as you may think. They’re self-contained, low-intensity light kits that you can use in a jam or for some creative effect. Television screen: If the subject is close to a television set and the GoPro is close to both, it’s hard to imagine a softer, more interesting light source than the TV screen. Just tune the set to a nonbroadcast channel and position the subject close to the screen. Glow sticks: They’re not bright enough for illuminating a scene, but they often work in situations in which the subject is light. Not only do they provide illumination, but their intense, saturated color makes for a great subject too.